The process of trade normalisation with India will not affect the imports of tea from the neighbouring country as the item has already been allowed for trade. However, the imports from New Delhi are likely to be increased by around 8 percent this year due to the drought in African region and halt in imports from Bangladesh. Talking to Pakistan Today, Muhammad Hanif Janoo, Chairman, Pakistan Tea Association (PTA) said that the country this year was likely to import tea worth $ 30 million from India as compared to registered trade of $ 25- $ 27 million last year. A high powered delegation led by PTA was also going to visit India on April 9 to enhance the trade in this sector, he said adding that, the major shift of imports of the highly consumed item was not to be made as Indian tea, as compared to Kenyan product, was not qualitative. The members of the delegation would meet leading exports of tea in India besides having formal talks with the concerned officials of Tea Development Board of India in Calcutta. However, he denied that the trade normalisation process between the two South Asian neighbors was going to enhance the imports of tea from Delhi as the import was going on since 1876. Besides, the consumption in India has already been increased during the last few years. India exports less quantity of tea as compared to other exporters of the product to Pakistan including Kenya, Sri Lanka and Vietnam and China, due to the domestic consumption of over 80 percent of total production. According to him, the imports from Bangladesh have also almost been halted due to the huge consumption in the tea producing country. 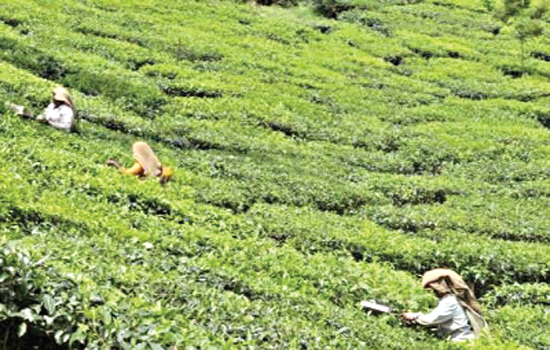 Pakistan’s share of imports of tea from Dhaka has been shifted to Vietnam and India. He said that there was no hindrance in official trade of tea between the two countries and the kitchen item was not being imported via third country, however the Kenyan Tea has been reported to be mixed with Indian tea in third countries by the profiteers illegally. In reply to a query he said that there was no halt or reduction in smuggling of tea from Afghanistan which was still at over 40 percent of the total import of Pakistan. Sources claimed that the import of tea from India has started increasing during the last few years. According to official data tea imports from New Delhi was increased by 17 percent in financial year 2010-2011. Currently according to sources, the Indian exporters were also trying to take Pakistani market as an alternative of the Iranian one after the payment issue dominated in the trade with Iran following the US economic sanctions on Tehran. According to statistic provided by Pakistan Tea Association (PTA), almost 21812072 kilogram of tea worth $27.198 million has been imported from the neighboring country during the financial year 2011 as compared to 8265419 kg of tea worth $15.529 million during the fiscal year 2010 making an enhanced share of 17.12 percent in Pakistani market.Besides, though the over all imports of tea from Kenya, the major tea exporting country to Pakistan, has improved as Islamabad has imported 70032621 kg black tea of worth $204.785 million during 2010-2011 as compared to 58039771 kg tea of worth $175.158 million in 2009-2010, its shares in the total import of Pakistan has reduced to 55 percent as compared to 60 percent recorded in FY 2010.